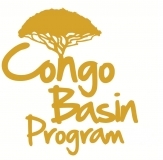 With the addition of this 9th service, the Congo Basin Program intends to interest more companies to join the CBP. For companies that are already FSC certified, co-financing of RIL-training makes it more attractive to participate as mostly these are annually returning costs. The program is now able to cover more of the certification costs and to support forest companies in their way to responsible forest management. The new services will be added in the catalogue during the next revision (May 2013). For more information go to services.